Solos/Duos/Trios – These dances are an honor and a privilege and should not be taken lightly. We will be evaluating every dancer currently doing one of these dances as well as new dancers that want to start them to be sure it is a good fit for them. 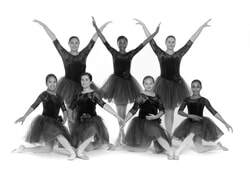 The dancer must be putting forth a good effort in all of their regular classes, be an asset to the group dances they are in and have a positive attitude regarding their classes, their dances and representing the studio on and off stage at competition. If we do not see this from a dancer they will be asked to sit out of doing a solo for a year to refocus their attention to taking class better and being a positive influence at the studio. We reserve the right to pull a solo mid year if necessary! This has nothing to do with how a dancer scores at competition, that will have no bearing on a dancers ability to perform a solo! !